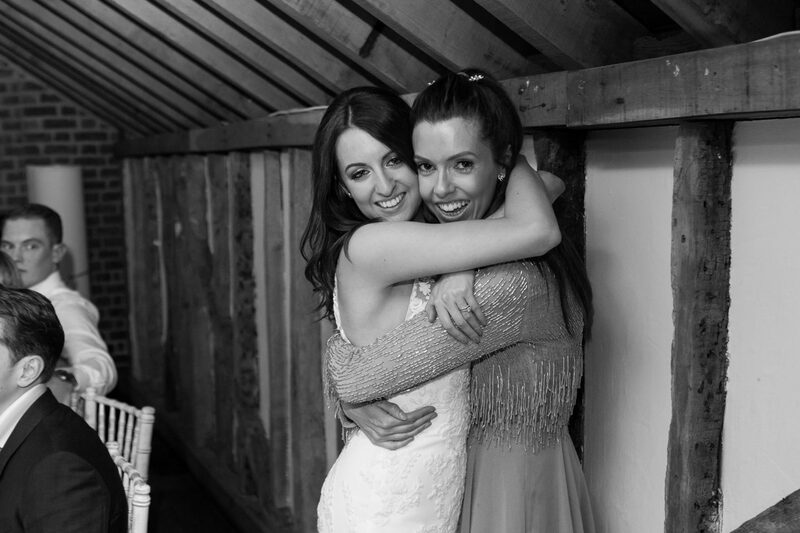 So I thought it was time to tell you all about the best day of my life- my wedding day. And as cringey as it sounds, it truly was a dream come true! I got married last spring in a beautiful barn in the countryside and I got to live the life of a princess in a fairy-tale for twenty four hours. 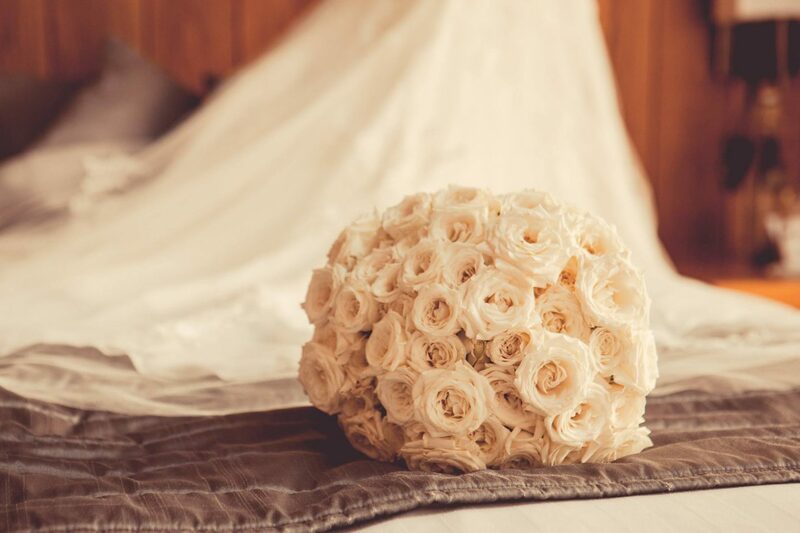 For any of you brides to be- HUGE CONGRATULATIONS, you’re in for an amazinggggg ride! I hope this blog post will give you some inspiration on how to have the perfect day. But one word of advice from me to you- Please enjoy every single second of it all because before you know it, it will all be over and your be wishing you could do it all over again sob! Right, lets get started! 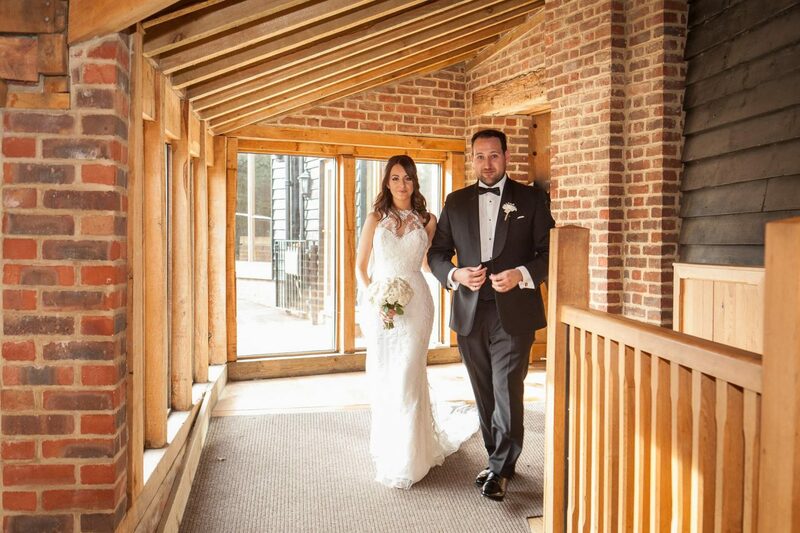 To make this easier for you all, I will break this down into categories…..
We got married in a gorgeous rustic barn called Tewin Bury Farm in Hertfordshire. Ever since I was a little girl I knew I always wanted this type of wedding. The Barn had exposed bricks and high ceilings and everywhere you looked it had a different feature. As you lot know, The Cotswolds is one of my favourite places in the world. Me, Wayne (the hubs) and our family try and do a yearly visit there. When I stood in Tewin Bury Farm for the first time I felt like I had been transported to the Cotswolds and that’s when I knew it was the venue for me. The barn had such a magical and cosy feeling and on the night it felt like we were in a fairy-tale. I have experienced many friends’ weddings in grand ballrooms in London and giant manor houses, which were all stunning but I just knew I wanted something different. Ours felt very intimate and special. I remember going with my family on New Year’s Eve to look around and we booked it there and then. The excitement I felt was on another level. We went straight to their cosy restaurant to celebrate (which of course replicated the barn and was covered in beams) and from then on me and my mum would make it a regular thing to visit there every few months and plan whilst drinking lattes. Planning the wedding was such a happy and fun time, which I will never forget and always cherish the memories. 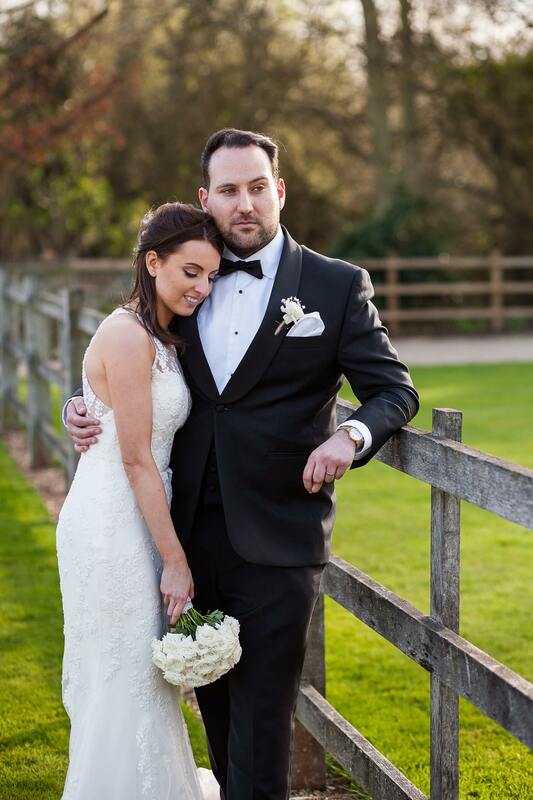 Each season has its pros and its cons, but for me it was very easy to pick my wedding date- me and Wayne are childhood sweethearts and have been together since sixth form, when I met Wayne on his gap year. Spring is also our favourite time of the year; I always think everyone starts to get excited about the year ahead in spring and everything always feels so pretty and fresh. The date we chose was also our ten year anniversary of being together, so we just knew it would mean something to us. It felt very emotional and special booking our wedding knowing that it would be our ten year anniversary. 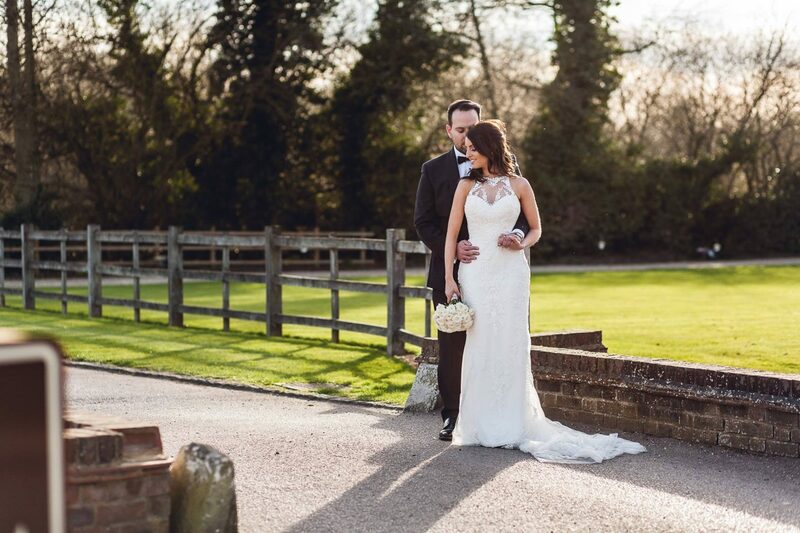 On 31st December 2015 the wedding was booked and the date was set- March 26th 2017. The day itself was a DREAM! The sun didn’t stop shining for us and I couldn’t have felt luckier. However my sister’s wedding is totally the opposite and is going to be autumn themed (it’s this October). 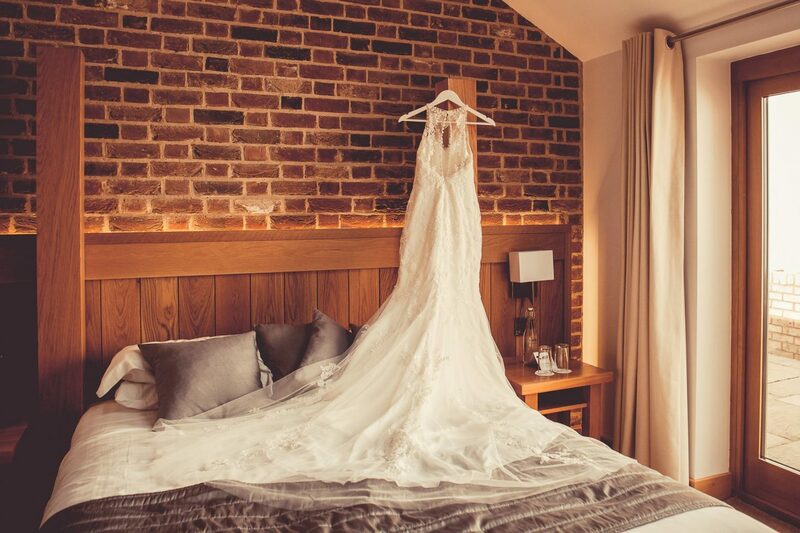 I love that she is going for a warm and cosy vibe- so ill make sure to do a full review for you all after the big day! Lots of people told me that planning a wedding is one of the most stressful things you can do in your life. But for me it was the total opposite, I literally loved every second of it. 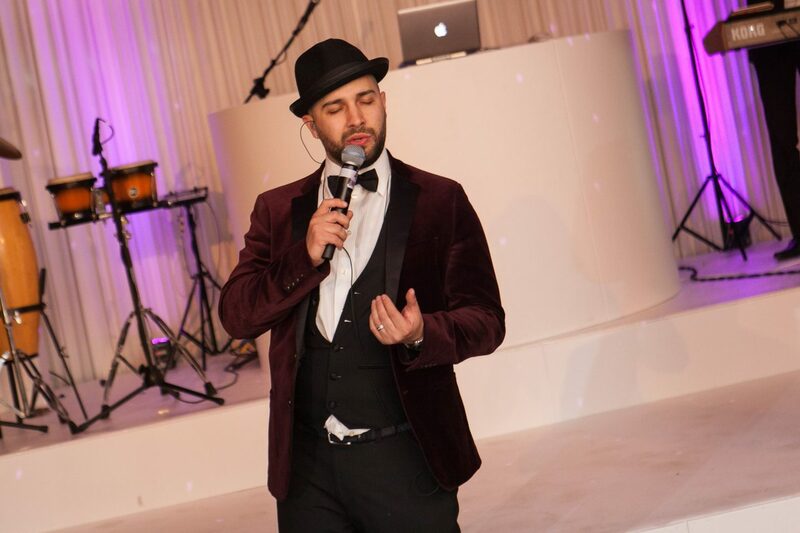 I am a Television Producer and have worked on many exciting entertainment shows such as Celebrity Big Brother, The Crystal Maze and Britain’s Got Talent. I’m used to planning things within the hour sometimes and my job can get very stressful. Knowing I had 15 months to plan my wedding, well it felt like a lifetime in comparison to my fast paced job. This is probably why I didn’t ever get stressed and enjoyed every part of the planning. I looked at it as if I was planning for a television shoot and started off making a giant to do list with timings that I had to complete certain jobs by. We were doing dry hire which meant we had total control of how the venue would look and what we wanted to do. This meant I could put my own stamp on it which was perfect. I would spend hours on Pinterest saving pictures of gorgeous barn weddings and made a mood board with my family which we used for inspiration the whole time. 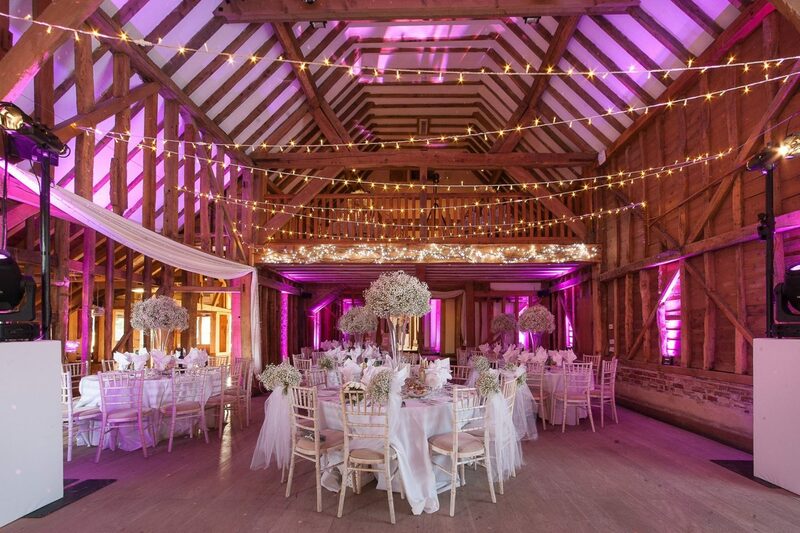 I always knew I wanted magical fairy lights all over the barn, just like my all-time favourite film ‘Father of the Bride’. 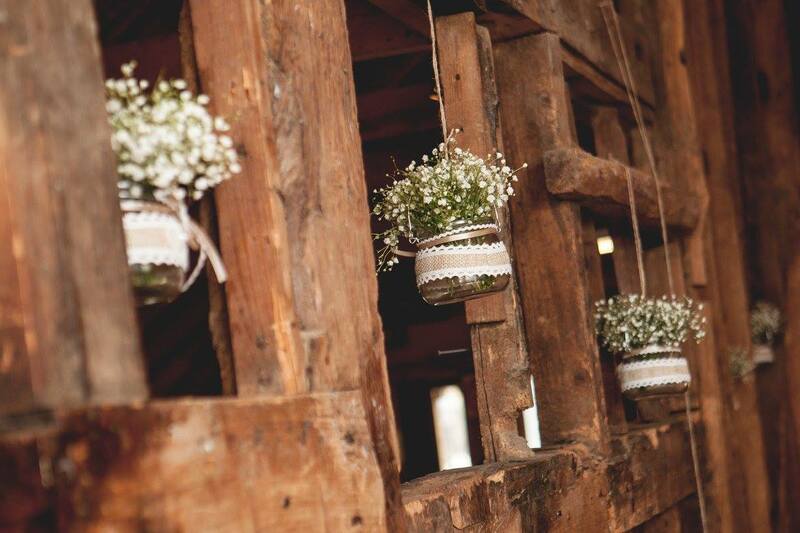 We had a ‘gyp’ theme as I wanted the barn to feel crisp and fresh. The barn itself had so many gorgeous features it didn’t need huge amounts doing to it. The florist put gyp on the back of the rustic Chivarli chairs we hired in, tied with twine and we had big gip boutiques in tall clear vases on every table. On the wall and beams we had hanging pots of gyp. Outside the barn we scattered shepherd crooks and pots of gyp along the pathway. It was like a fairy tale. We also had hanging fairy lights that went all the way across the ceiling. Everywhere you stood in the barn you would be under the twinkling lights. We didn’t use a wedding planner and did everything on our own. (I actually felt a bit like JLO in the wedding planner so many times during the process, I thought to myself, one day I would love to do this as a career). 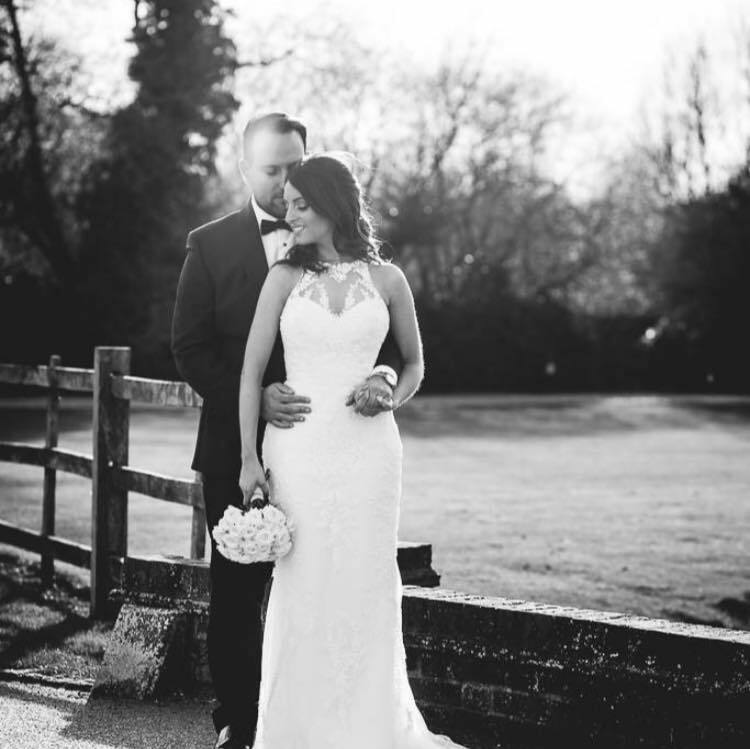 My dress was from a gorgeous boutique near Chelmsford Essex called ‘Bellissima Weddings’. The interior of the shop was very elegant with silver glitter paper throughout and a theme of Marilyn Monroe. It was a girls heaven. Before visiting Bellissima I was actually in panic mode, I had already been to five shops and had not found the dress. I was beginning to feel really deflated and actually began to resent going dress shopping. In Bellissima I chose about ten dresses to try on and with the first dress I put on, I just knew. I stepped out of the fitting room hoping that my mum would feel the same as me. When she gasped I just knew she felt the same. 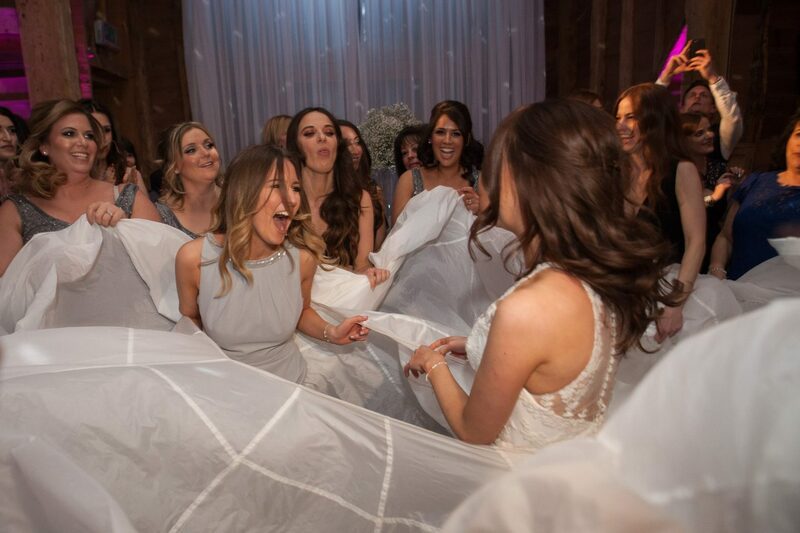 I always imagined that when I found the dress my mum would get all emotional and cry, but instead it was the total opposite- we began jumping up and down in excitement and got totally hyper. The shop assistant thought we were insane, but for me the relief and excitement was overwhelming. Although I knew I adored the dress my sister was on holiday so I booked an appointment for the day after she got home. I needed her approval before buying the dress. She works in fashion and I always trust her judgement. Thank god she loved it and the deal was sealed- I had found my dream dress. The dress was made by the designer ‘Enzoani’ and it was actually one of his 2014 collections. It was a tight fitting ivory dress with appliqué lace detailing. It was very figure hugging. My favourite bit was the top of the dress, it had a sheer halter neck with subtle mesh and appliqué lace flowers as details. It was super feminine and girly. The back was sheer mesh with gorgeous buttons from the neck down to the back, I felt like a princess. There were so many times during the year where I panicked I had brought the wrong dress and made life hard for myself because it was so figure hugging and I had to be so careful with what I ate those last few months, I had constant nightmares the dress wouldn’t fit me. My whole experience at Bellissima was amazing. 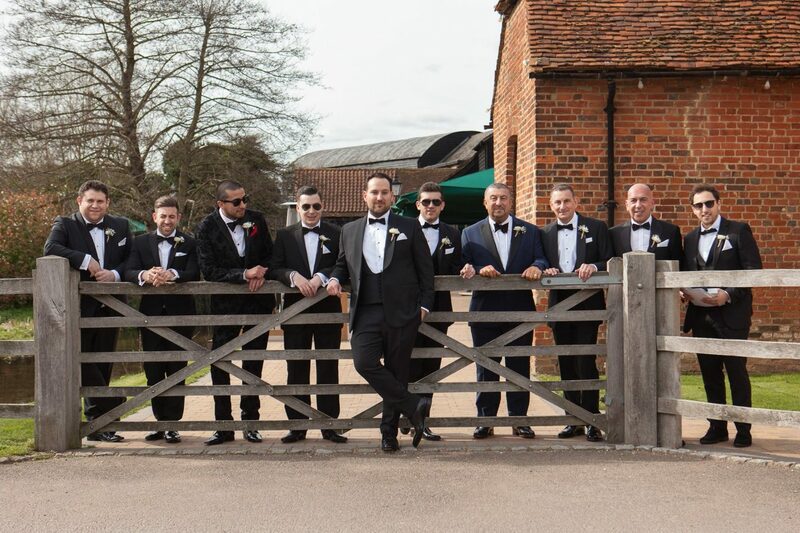 The staff were so kind and helpful and had the incredible skill of making you feel like your wedding was their only priority. (Despite having 100s of girls to deal with). I would recommend Bellissima to any girl in a heartbeat. As the dress was super detailed I tried not to go over the top with jewellery. I wore a dainty silver bracelet and small silver diamond earrings. I had my hair in loose curls in a half up half down style which was secured with a gorgeous Swarovski hair brooch. It was silver and ivory with a mix of silver crystals, pearls and ivory flowers. My veil was a long sheer veil but again was very plain. (All brought in Bellissima) By 6:30pm all of this fell apart. 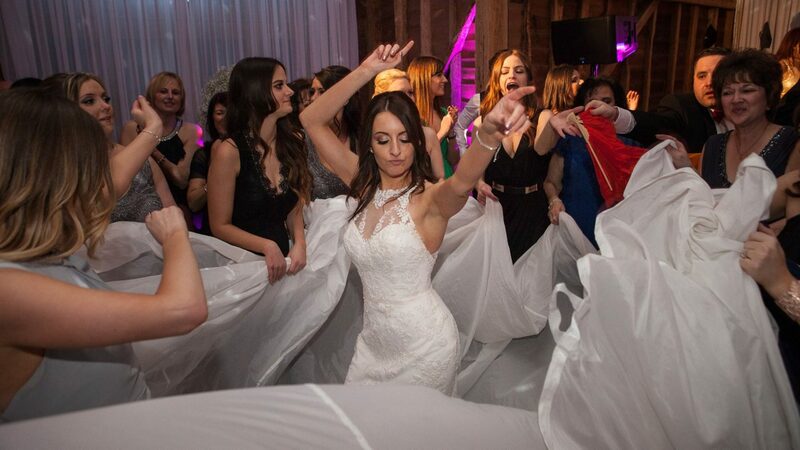 I had a Jewish wedding and the Israeli dancing got ridiculously out of control. Thank god I had most of my professional photos done by then haha. I am very short at five foot one, and find it hard to walk in stiletto heels at the best of times, but I also wanted to experience something I had never felt before- being tall haha. I spent a whole day in London with my mum searching for shoes. We went everywhere you could think of- Selfridges, Harrods, Bond Street, Regent Street and every department store in Oxford Street. But I had no luck. That night deflated and exhausted I went on Debenhams website, and just like that there were the shoes of my dreams. 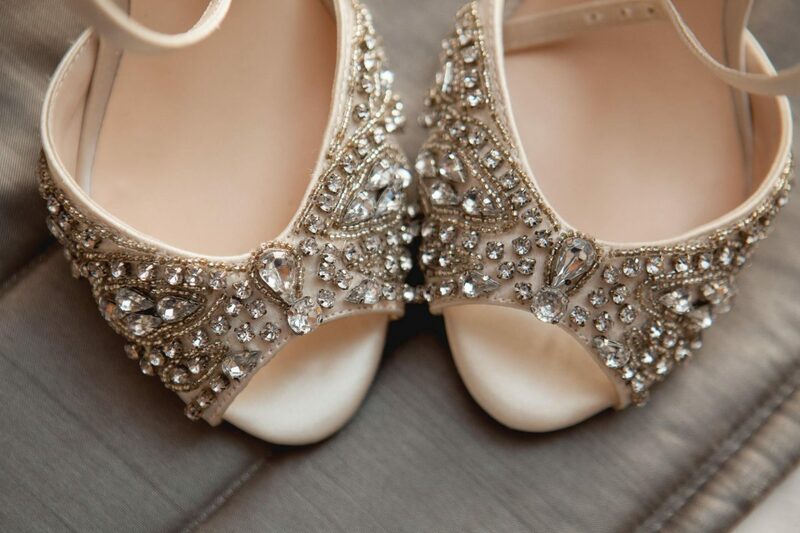 They were designed by Jenny Packham, were four inches high and were ivory with an assortment of embellished silver stones and crystals. They were absolutely stunning and comfy and I felt like a princess in them. In the evening my auntie surprised me with the most thoughtful gift- a pair of personalised converse covered in crystals. Just like the film Father Of The Bride. I was able to dance the night away pain free. Makeup- I love a themed party and wanted to make our engagement party unique. We ended up deciding to have a masquerade theme party in a marquee in our garden. For months I scrolled through instagram for inspiration of what mask to buy. Then I came across one of the cast members of ‘The Only Way Is Essex’ putting up a picture of her having a masquerade mask painted on her face for one of their themed finale parties. She tagged her makeup artist and I began to look through her page of work. Her name was Anna Lingis and she was one of the most talented artists I have ever seen. I booked her immediately and on the night she painted a black lace face mask on my face and added gems in the corner of my eyes. I got on with Anna so well and when I found out she did wedding make up too I booked her straight away for the wedding. Over the year Anna and I have become great friends, she is the kindest and most talented artist and I was so lucky to have her. She’s now busy doing up all of the stars but she’s fitting us in for my sisters wedding and I’m so excited to see her! 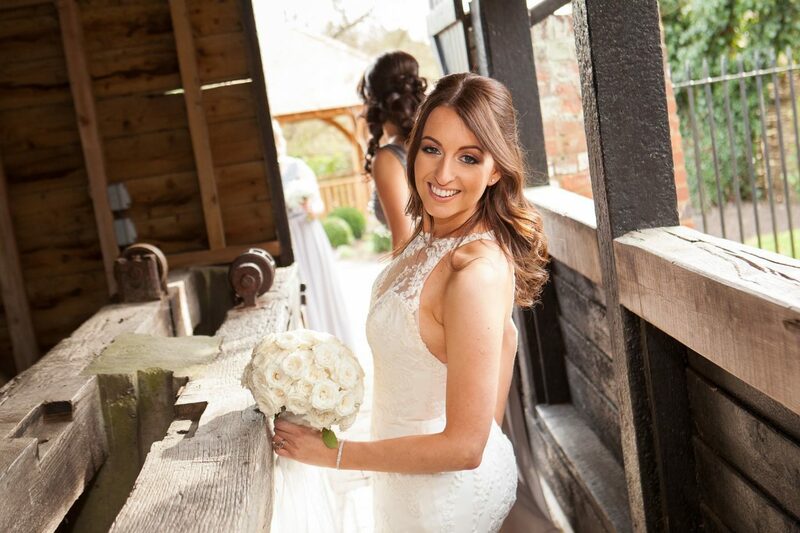 On my wedding day I went for a soft dewy look but wanted to appear golden too (I’m a Essex girl of course) so Anna did lots of contouring and highlighting and I was so thrilled with the results. She used a golden shimmer on my eyes and false lashes. For my lips I used a soft pink lip liner with Charlotte Tilbury pillow talk lipstick over the top. Our ceremony was so special I will remember it forever. Beauty and the Beast has always been my favourite film growing up and it felt like fate that the new film came out a week before our wedding. One of my work friends who is an Editor kindly made us our ceremony music. The first part of the music was the prologue to Beauty and The Beast where all of my family and bridesmaids walked down the aisle. The song then merged into an instrumental version of ‘beauty and the beast’ where me and my dad walked in. I listened to the song a million times before the day, it was so special walking down the aisle to it and was a moment I will never forget. Our actual ceremony was incredible we were extremely lucky to have Moni Tivony as our singer throughout the day. Having him sing made it feel so special and extra emotional. We had the most incredible band- Totem. 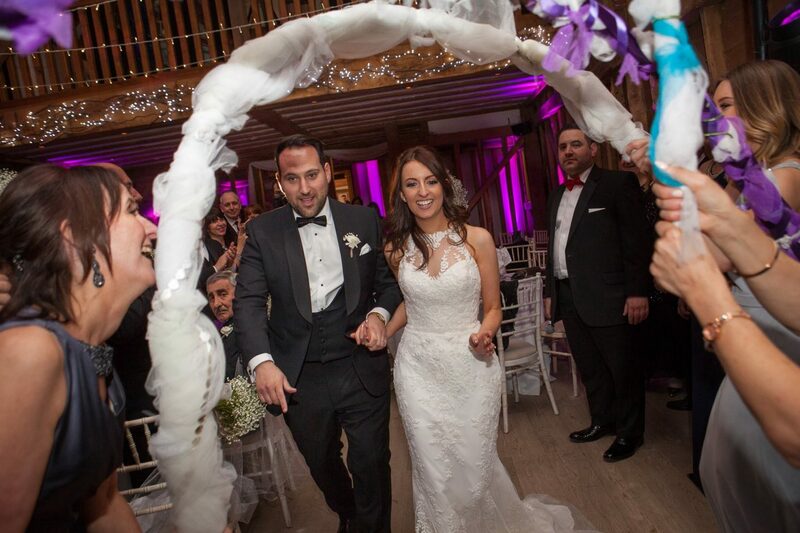 They literally blow us away and made our wedding feel so fun and special and we had the most amazing party. Right from the very first meeting with Totem we told the band manager Brett Warren that as soon as the party started we didn’t want one person on their seats- and wow did they deliver. When all the guests were told to enter the barn for dinner they sung Beauty And the Beasts ‘Be our guest’. When me and Wayne entered the room the band were singing Jagged Edge remix ‘let’s get married’. Everyone was on the dance floor and it was such a fun atmosphere. 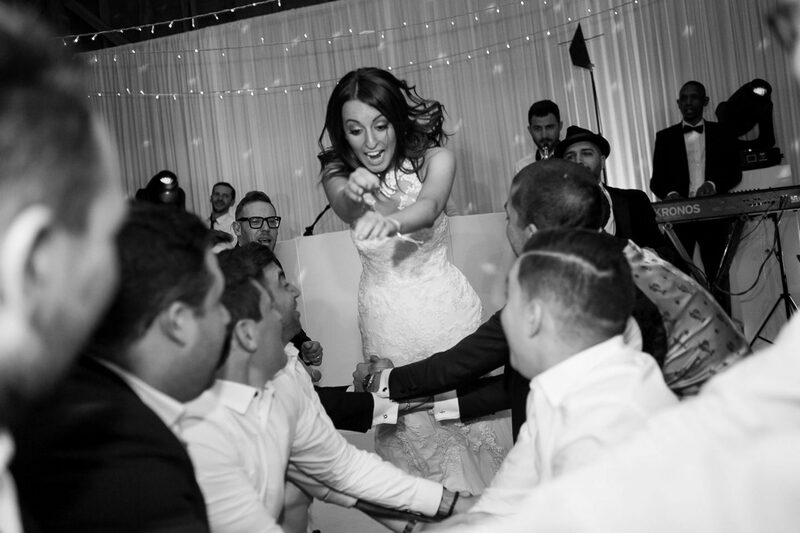 As I had a Jewish wedding this led straight to Israeli dancing which was unbelievable. I even jumped in the parachute and got all the boys to throw me in the air- what was I thinking? 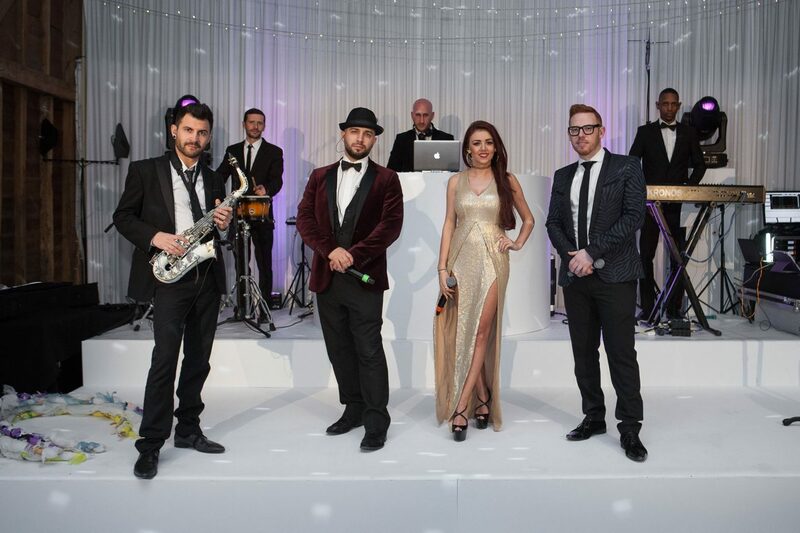 Throughout dinner our band sung more chilled songs with a jazz vibe, there was an amazing atmosphere and the whole room was buzzing all night. The band sung modern chart music for the party and I don’t think one person wasn’t on their feet having the best time. Moni Tivony even did a 20 minute garage set which was incredible. 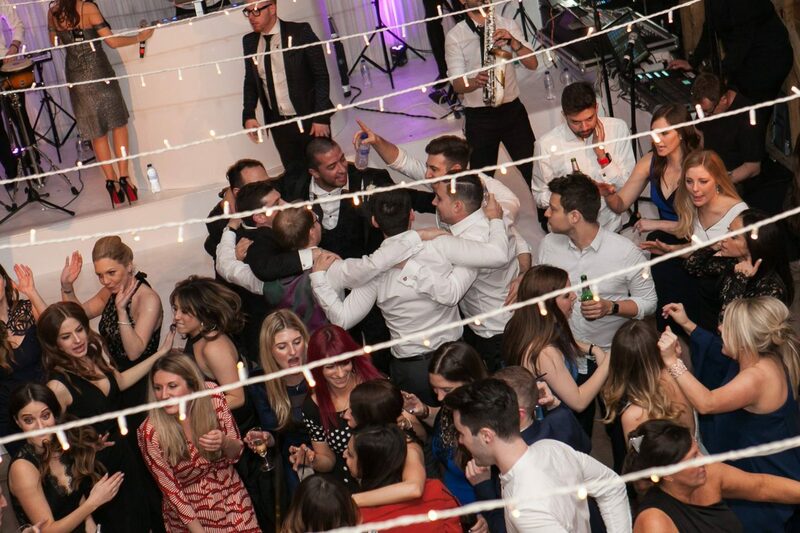 I remember looking at my mum at the opposite end of the dance floor and we both mouthed ‘omg’ to each other because we couldn’t believe we had pulled off such a fun party. Totem are insanely amazing, and we are lucky to have become great friends with band manager Brett since.. it goes without saying they will be doing my sisters wedding! 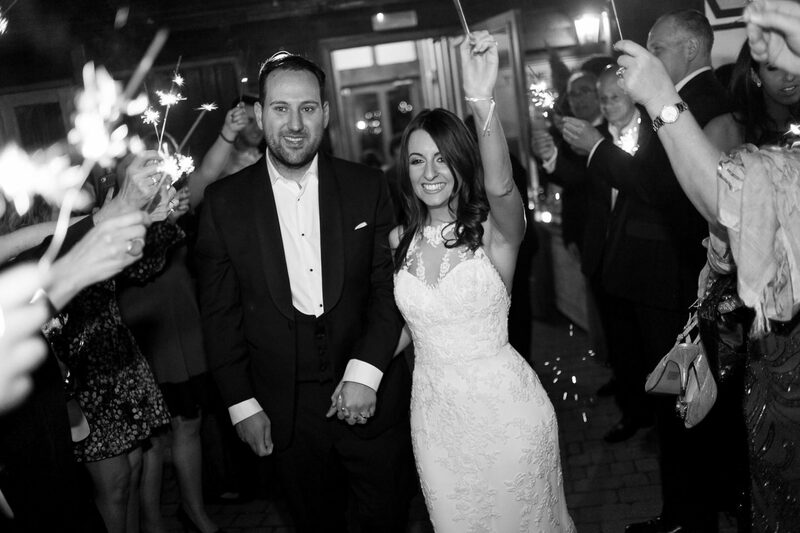 We used Reportage By Limited, a London based company for our photos. 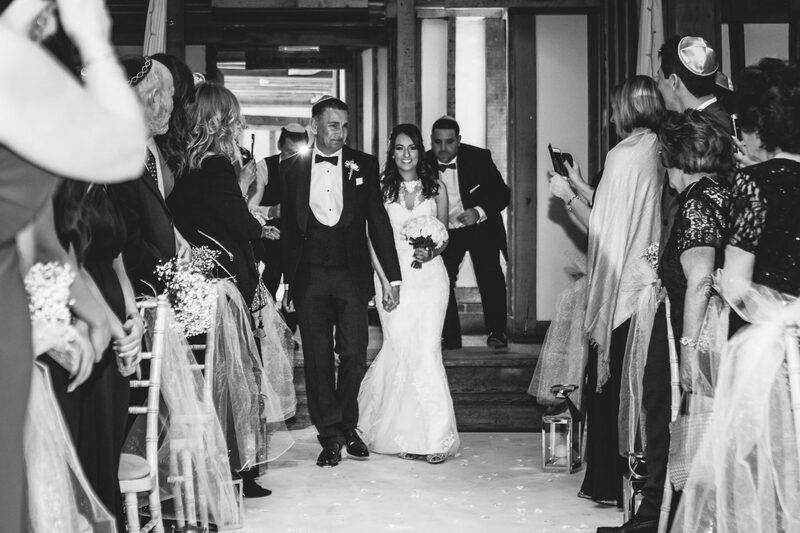 We had Krystian with us the whole day, he went above and beyond to ensure every moment of our day was captured, I couldn’t recommend them more. When he first brought over his photo collection to our house when we met for the first time we absolute fell in love with his classic style of capturing a moment. On the day he worked so hard and even after the wedding was finished, instead of rushing off he wanted to take us on a late night photo shoot. We absolutely adored him and appreciate everything he did for us so much. 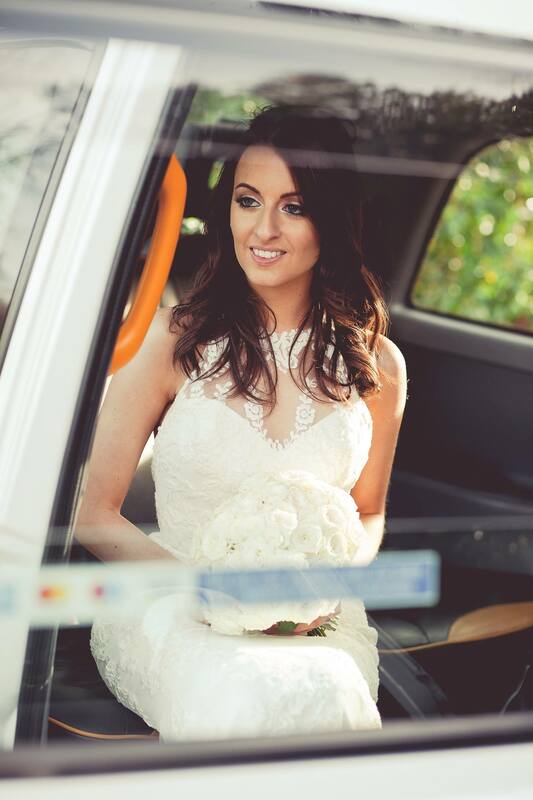 Our videographer team were equally as amazing- Denee Motion. Dennis is such a lovely guy and worked so hard on the night. His trailer video is so beautiful it brings tears to my eyes every time we watch it. There is not one moment he didn’t catch and I am so thankful for that. I would recommend them to anyone wanting to book a photographer/ videographer. Even after the wedding Dennis and I have kept in constant contact and he is a pleasure to work with. 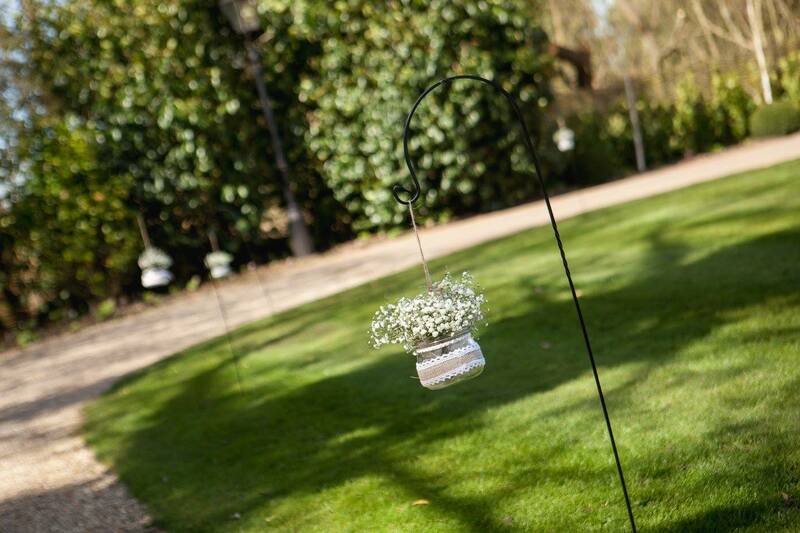 For the favours we wanted to do something personal so we incorporated it into our table plan. My auntie is very creative and as a gift to me she baked heart shaped cookies. On every cookie she stuck on two mini ginger bread man and woman and put our initials on it with the date in icing. 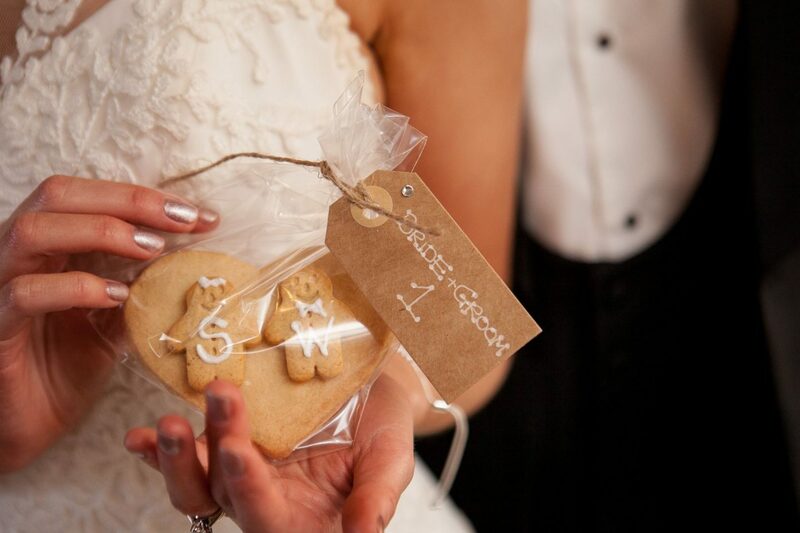 She then wrapped each individual cookie in cellophane and tied it with a hessian ribbon. Each cookie had a label with the guests name and table number on it. We laid them all out on a table next to the bar at the entrance of the barn. Dads Speech- One of my favourite moments was my dad’s speech. Anyone that knows my dad knows he has the most wicked and dry sense of humour. Me and my dad’s ‘thing’ is that we always watch Father of the Bride film together. He says I remind him of Annie Banks looks and personally wise and I think he is the same person that Steve Martin plays in the film. Our favourite part of the film is the scene where the dad and daughter play basketball together to the song ‘my girl’. It is our song and I think of my dad every time it plays. We have even stupidly learnt the dance moves to their little dance in the film. My dad’s speech was hilarious and he had everyone in stitches bantering our family. 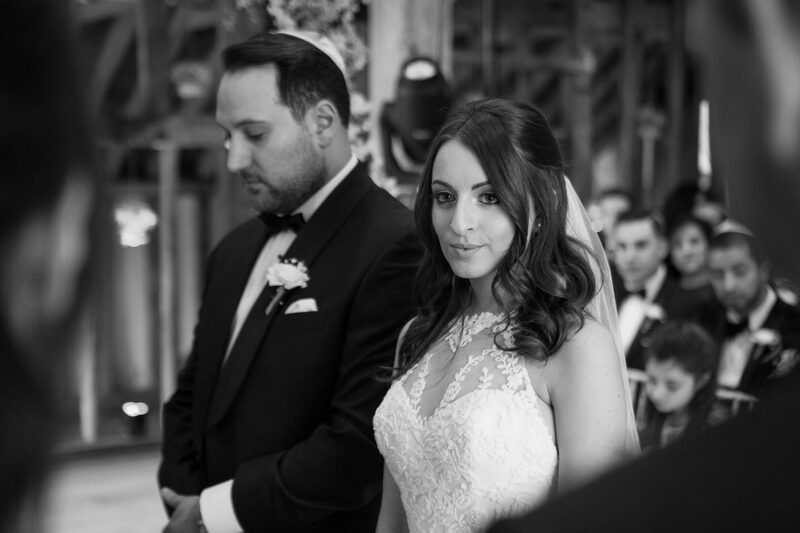 Then as he finished the speech he said ‘..and Sammy… you will always be my girl’… and at that exact moment the band started playing ‘My Girl’ and Moni came out to sing the song. I couldn’t believe it. My dad beckoned me over to the dance floor and we did our mini dance with everyone watching. It was very emotional and very special, I couldn’t believe he had organised this without anyone finding out. I will remember it forever. Israeli dancing– Israeli dancing got totally out of control at our wedding. It was absolutely incredible. At one moment I remember jumping on stage and running into the arms of 20 boys on the floor below. Dennis from Denee Motion said I am the first crowd surfing bride he has ever seen- and he has done a lot of weddings. I don’t know what came over me but I was just having so much fun and got totally caught up in the moment and let all my inhibitions go. 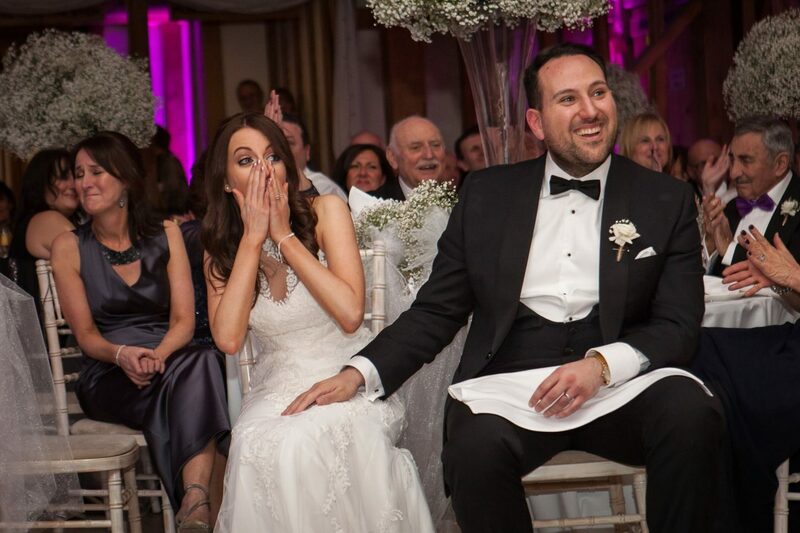 The grand finale- Another moment I will remember forever is the way we finished our wedding. 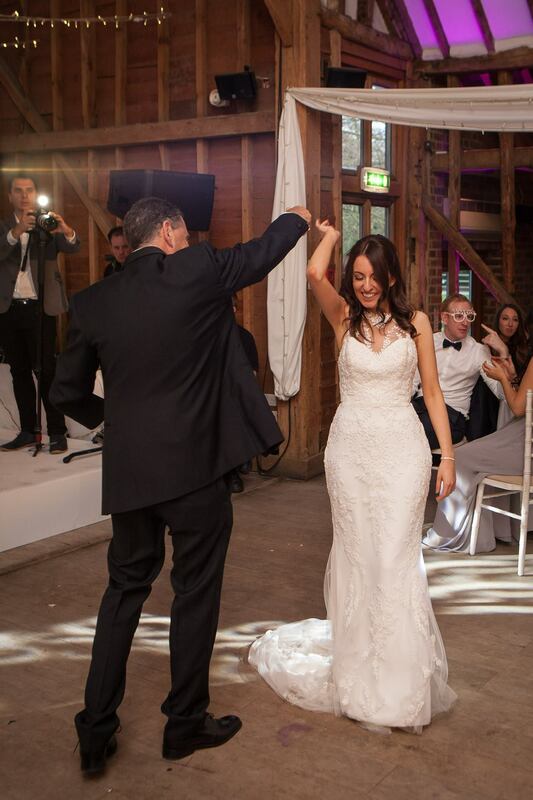 After making our thankyou speeches on stage we launched straight back into Israeli dancing, it was such a fun thing to do because it meant everyone left on such a high and was buzzing. But that wasn’t all- we had brought everyone sparklers so we took everyone outside the barn and all lit them together, then me and Wayne walked down the long path of sparklers and everyone was cheering us. It was the most magical way to end the most perfect day of our lives. Standing in a line-up with all my girls and having a dance off with all of my mums friends- priceless. Having ten girls in one cubicle with me trying to lift my dress up while I was on the loo. Everyone coming back to me and Wayne’s room after the wedding and having a McDonald’s after party. I was fed chips by Wayne’s best man and tucked up in bed by my best friends husband- so unromantic but absolutely hilarious. I wouldn’t of wanted it any other way. My advice is… don’t take yourself too seriously, enjoy every single second! By 6pm all my hair had fallen out but it didn’t matter, I was too busy dancing my heart out to notice. Just try and live in the moment as much as you can and don’t worry about any of The timing of things that you think aren’t going perfectly. Everyone is there for you because they love you and want to see you have fun and enjoy every little moment. If you’re having fun, everyone else is! Enjoy the planning too, as long as you give yourself enough time it will all go seamlessly. I found I had a constant ‘to do’ list for a year and a half but it meant I always stayed on top of things. Also my advice is not to book your honeymoon for straight after. 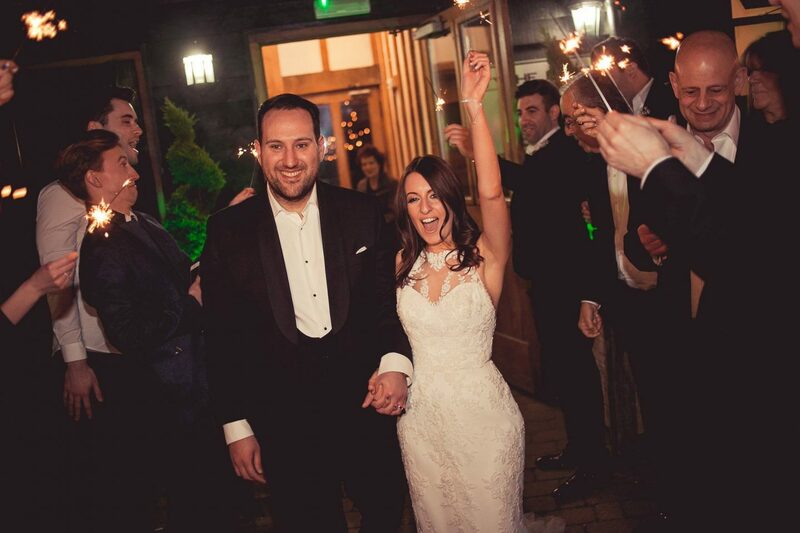 We were still buzzing seven days later and I couldn’t concentrate on anything else apart from reliving the wedding. Enjoy the aftermath and seeing all the photos and being with your family. It really is the happiest and most fun time ever. We booked our honeymoon three weeks later and by then the wedding madness had totally calmed down but we were still on such a high because of the honeymoon countdown. So there we have it, thank you SO much for reading my wedding blog it means the world. I hope you got a little taste of what my day was like, and if this has helped you in any way, or has given you some inspiration then my job here is done. 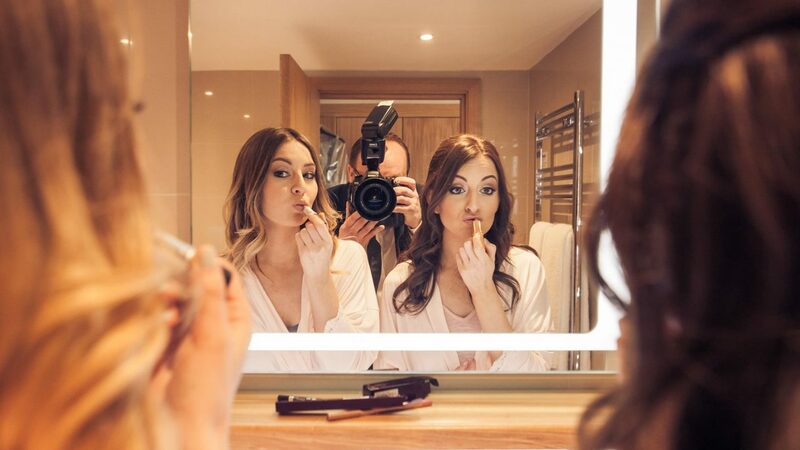 Previous Post Marbella Hen Party- the perfect girls weekend away! Belated congrats. You looks stunning and the dress was great on you. I love your photos! You look amazing.